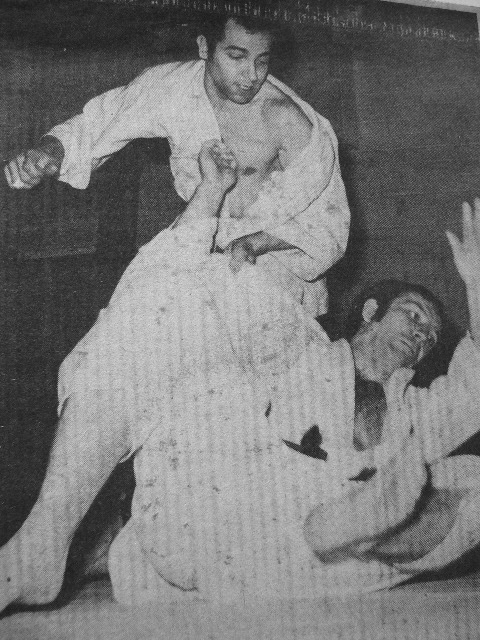 Sensei Goldman (standing) competing some 40 years ago. Everyone knows our President Sensei Goldman. Many have enjoyed time on the mat with him. It is only the older students though who will have seen him in 'action'. Here is a video, taken at a 'Kick Drugs' event of Sensei Goldman demonstrating some moves! 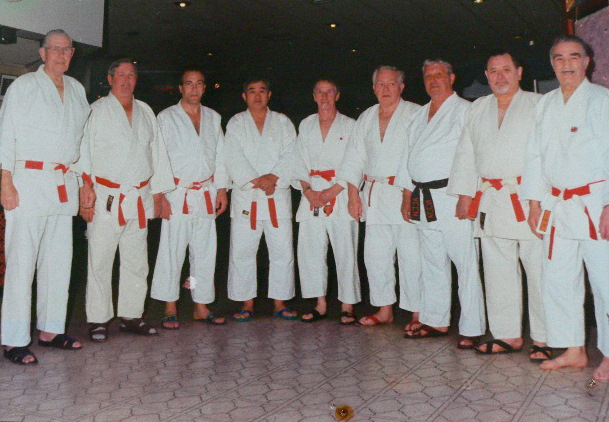 Sensei Goldman, third from the left, one of a formidable line up. 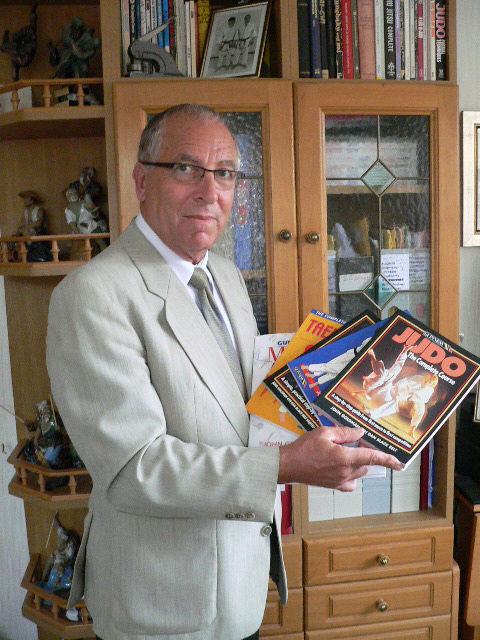 Now, after a lifetime of experience in judo and martial arts, a string of books to his name.